Even if you’ve never been there, Italy is one of those places that tugs at the heartstrings. And once you have been there, you’ll start looking for an excuse to move to Italy. When it comes to the weather, Italy really is a land of contrasts. In general, it has one of the best climates in Europe, but conditions can be quite varied. In winter, the Italian Alps are likely to be cold with crisp, blue skies and enough snow to keep skiers satisfied. On the other hand, Milan is often fog-bound and the Po Valley can be quite cold and damp, too. For the best winter weather, look to the Italian Riviera, the Amalfi coast, and the islands of Sicily and Sardinia. All enjoy a mild winter climate. Obviously, the farther south you go during the summertime, the hotter it will get…and the deep south can be very warm, indeed. In Apulia, the heel of Italy, even the sea temperature averages 82 F in August. If you’re planning a move to Italy, there are some bureaucratic issues you’ll have to take care of first. Citizens of the U.S. and Canada do not need a visa to enter Italy for up to 90 days if the purpose of their trip is tourism- or business-related. Italy has a multitude of visas; the most common ones are for business, family reunion, independent work, religious reasons, study, tourism, and transit. If you’re planning on staying longer than 90 days, but aren’t yet sure about permanent residence, you’ll need a Schengen. If you are moving to Italy and can afford to live there without working, you may want to apply for an elective residence visa. This type of visa is generally used by foreigners who are retired and can collect income from a retirement or pension plan. 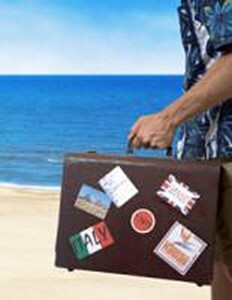 The family visa is applicable when the whole family is moving or returning together and staying in Italy longer than three months. Besides the usual documents, you will need proof of the familial relations. Italian customs will grant you duty-free entry of your household effects, as long as they are imported within six months of you moving to Italy and registering as a resident. Those holding resident status may also import a motor vehicle duty free, providing it has been owned for at least a year. Moving your household goods: Household goods may be imported duty free within six months of receiving the certificate of residence. An experienced and reliable shipping agent can simplify customs-free importation of household effects. A motor vehicle may be imported duty-free within six months of receiving the certificate of residence and if owned for a period less than one year. Imported vehicles must be registered and Italian license plates obtained. For more detailed information, contact the vehicle registration office, Pubblico Registro Automobilistico (PRA). Once in Italy, an Italian vet can issue an EU Pet Passport allowing travel within Europe. The United States Department of Agriculture provides information on moving pets to Italy: www.aphis.usda.gov/regulations/vs/iregs/animals/animal_italy.shtml.